Yet another unreservedly anti-Israel piece from the leftist magazine The Economist in its Pomegranate section. This time we are presented with a kitchen-sink full of lop-sided statistics. This occurs when you compare a democratic and free people in Israel to an Islamic jihadi-directed populace in Gaza. But lest we forget the Ottoman Empire once ruled these parts, including all those nasty “Israeli-controlled” bits of today, as short a time ago as 1918. One interesting statistic from that comparison would be to compare Israel’s puny 8,000 square miles to the Ottoman’s 2,000,000 square miles at its height and 700,000 just before its collapse. 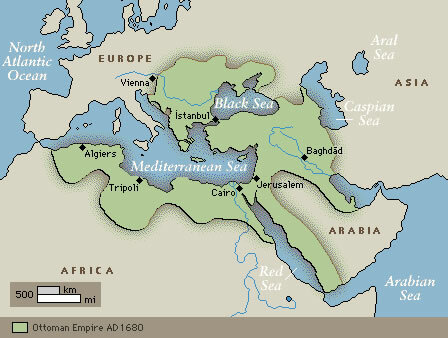 You see, the thing is, no Arab, no Muslim, really wants Israel to have even this puny speck of ground where the old Ottoman Empire used to be or where the new Middle East is today. Truth be told they don’t really like the Jews that much. To have even the small area they do is considered by many, including Ahmadinejad and Morsi, to be utterly haram.